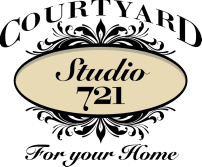 Paint Studio, Home Decor, Furniture, Gifts, Classes, Antiques and Much More. Courtyard Antiques or from our online store EZE-Solutions.com. Courtyard Studio 721 upstairs at Courtyard Antiques proudly offers the following brands as well as How-To apply technique classes for each product line.